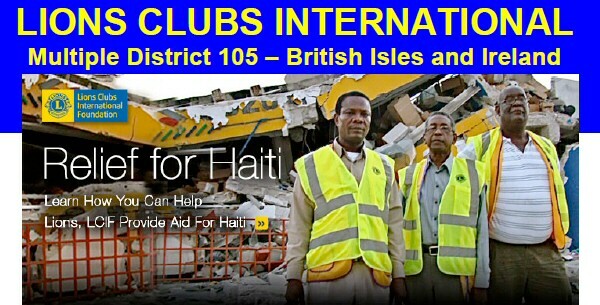 Lions Clubs International Foundation (LCIF) are continuing to work alongside other NGO’s (Non-Government Organisations) and the Haitian Government, to put in place a comprehensive rebuilding plan to restore major facilities. LCIF plans still identify education and medical facilities as its major objectives. 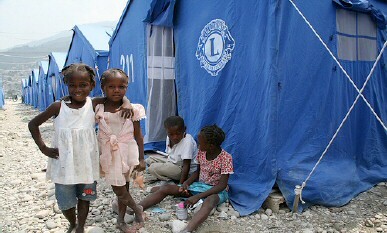 Lions in Haiti and LCIF are also currently evaluating the construction of more than 600 semi-permanent homes in partnership with other NGOs. A Memorandum of Understanding is now in place to partner Humani Terra to provide orthopaedic surgeons and in the longer term, a national trauma and burns treatment unit. SightSavers Vision 2020 also has a planned project for the area and the LCIF SightFirst Grants coordinators are also involved in the planning work. It is clear from the current discussions with LCIF, that there is much planning work still to be done to ensure the true long term needs of the Haitian people are met as well as the continuing requirement to coordinate the involvement of the many NGO’s working in Haiti.